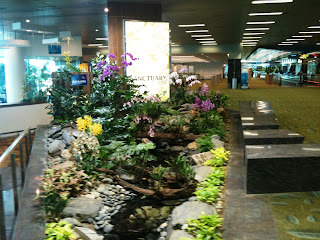 Earlier this year, I had an unscheduled visit to Singapore. 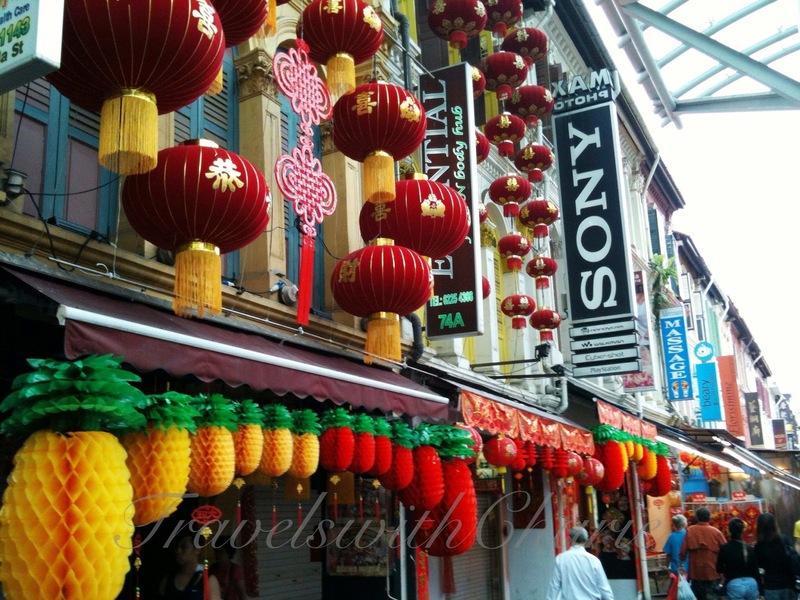 With about 3 hours to explore the city, I decided to check out Chinatown which is a short walk from the Clarke Quay neighborhood where I was ensconced at the Novotel. It was a week before Chinese New Year, the Year of the Snake, so Chinatown was festooned with colorful lanterns and streamers to welcome the arrival of the lunar new year. The shophouses that line the streets of Chinatown were built in the style of the painted ladies (Victorian architecture painted in three or more colors) and restored in recent years. These buildings are painted predominantly in pastel and the windows are highlighted in darker hues providing a rich contrast of colors. Nowhere is food more celebrated than in Chinatown especially during the new year. I couldn’t help but stop and stare at these neatly arranged, paper thin beef jerkys and be satisfied with the come hither aroma that pervaded the air. It was late evening when I arrived at ChangiAirport in Singapore and all I wanted to do was go to the hotel and rest, rest, rest. I found the taxi line and waited for my turn to hail one. A young woman behind me asked me if I wanted to take the waiting black car on the parking lot and I told her I couldn’t because there were two people ahead of me. She argued with me that those people didn’t want the taxi so if I wasn’t interested, she would take it. That got me going to the waving and liveried driver.